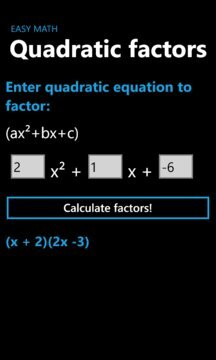 -Check out the updated version, Easy Math 2, for Windows Phone 8! Updates for Easy Math 2 will follow! Math is easy, especially when you have help! This simple app does it all for you, and you will find it to save you time too! *8000 Downloads! * Thanks to all for the downloads! I am in high school and it helps to have some support! Hope the app helps - please feel free to contact me with ANY questions. 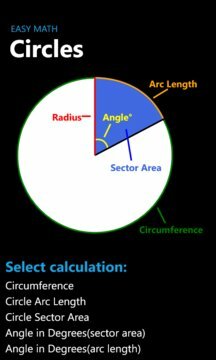 -Oblique Triangles: This uses law of sines and cosines to solve triangles for you!